A few weeks ago I, along with my mum, went back to Bath for the day. We went with the intention to clean out my house in Bath – hand the keys back and then do a little bit of exploring. I've lived in Bath for two years and the surprising thing about it, is there are so many places that I've never been or seen. Before going we did a little bit of research, we only had limited time after moving out of the house and were only able to visit one place in Bath before picking up the bits we needed and leaving. Myself and my mum both have a gluten intolerance, because of this we find it difficult to find restaurants that cater to our requirements. Whilst it is more widely known and heard of and many places are happy to help, there are a few places that look at us like we have gone mad and are asking for a lot. My mum found us a beautiful place to eat, hidden in one of Bath's many little side alleys. 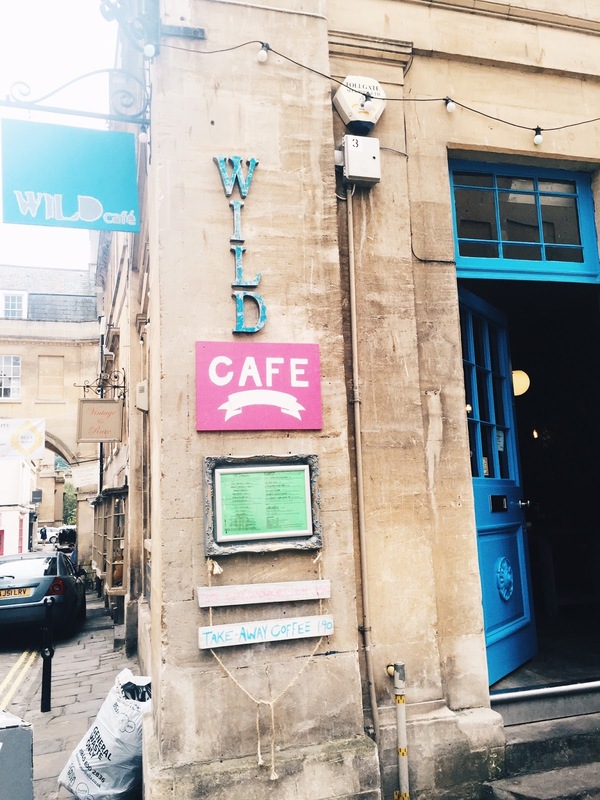 The place was called the Wild Café and had a range of beautifully fresh foods to choose from. Myself and my mum opted to go there for some late breakfast, as always we asked if they catered for gluten free and they did! 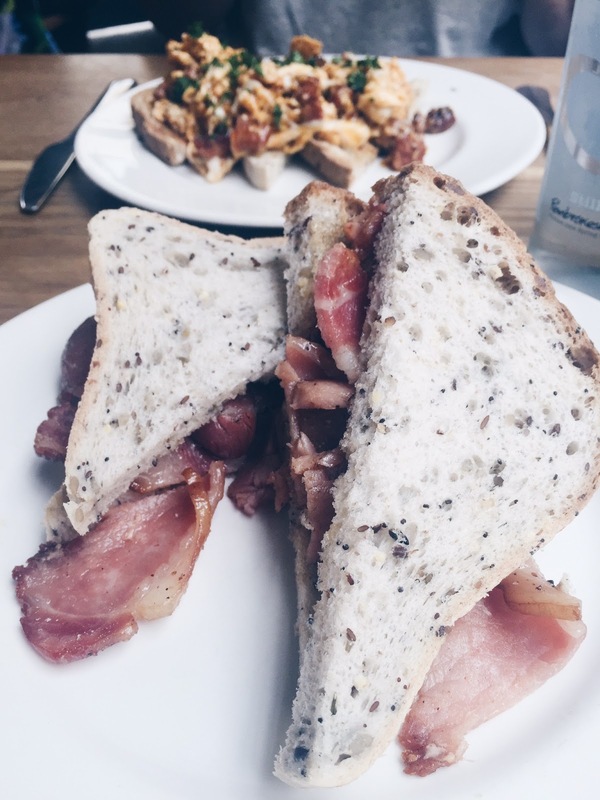 Instantly happy, we sat down and ordered, I opted to get the Bacon Sandwich in Gluten free bread and my mum went for the Chorizo Scrambled Eggs on Gluten Free Toast. And then we shared! 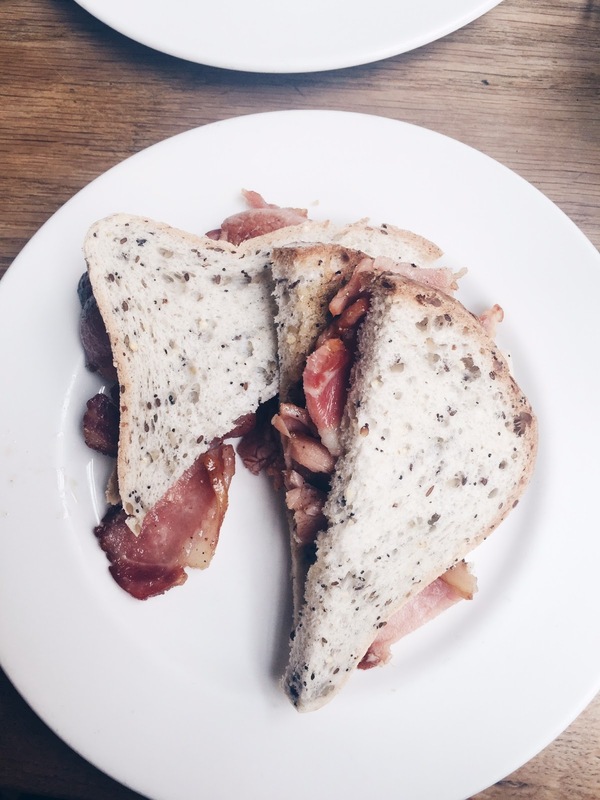 The food was so beautiful and delicious, the bread was very light and the bacon was not fatty at all. 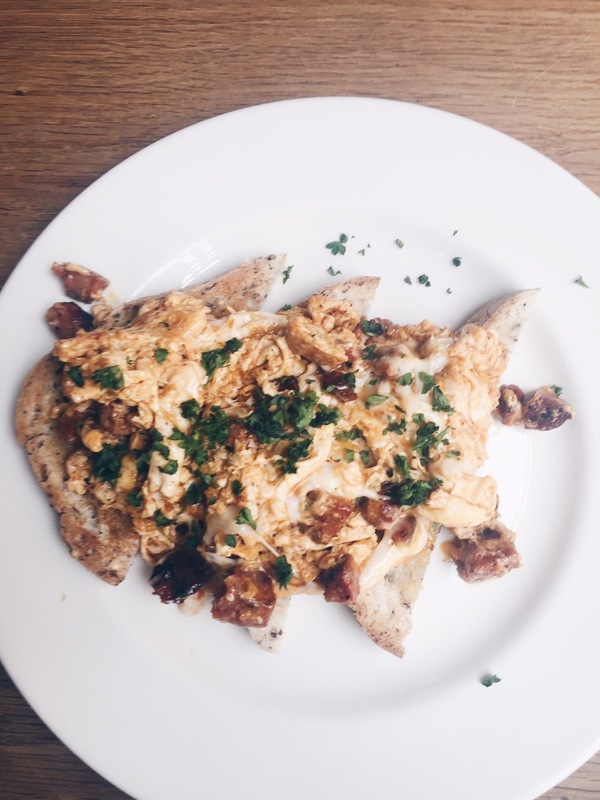 The Chorizo Scrambled eggs were amazing, the chorizo added to the scrambled eggs gave it a unique, yet wonderful taste. In a lot of places, you can feel rushed and the waiters can ask you how your food is at least 3 times – which I do not like. Through working in the hospitality business I know that you ask once and then leave them to it unless they need you. 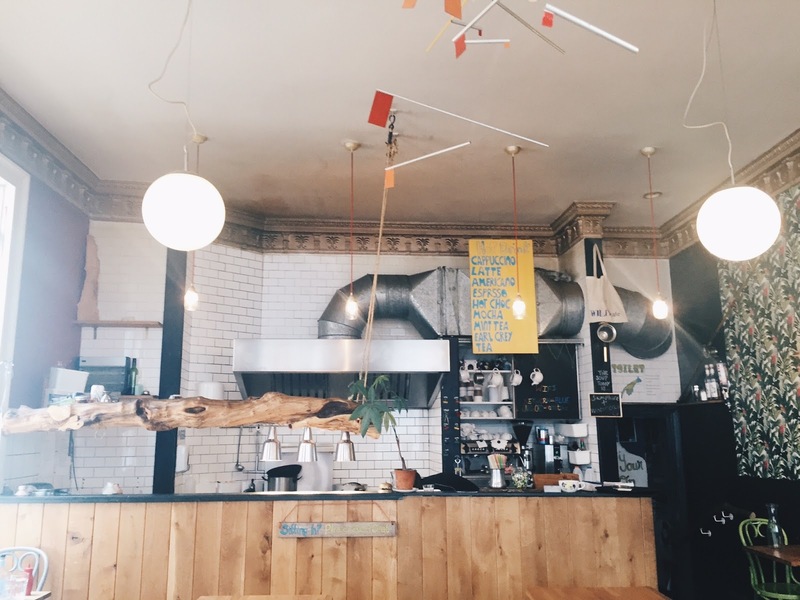 I loved the layout of the café, the kitchen was open so you could see what they were doing and cooking. 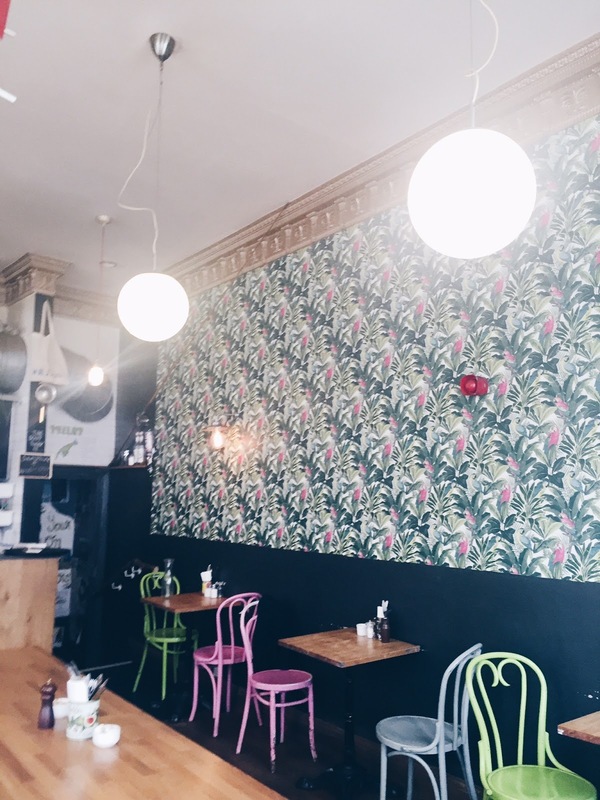 The added touch of the multi-coloured chairs added to the idea of the 'Wild Café.' In the middle of the room there were two long tables with benches either side which I really liked. The Wild Café seems like a little hidden beautiful that you can just stumble upon. I had never actually heard or seen it before, but then I never had the need to go down the road it was situated upon. For my third year I am definitely going to make it my mission to find more of these hidden gems and find everything that Bath has to offer!